Eau d’Italie is a wonderful fragrance house based in the eye-boggingly beautiful Italian town of Positano. The house’s curators own the equally beautiful Le Sireneuse hotel and their fragrances are odes to the surrounding countryside. It’s safe to say they know a thing or two about beauty and I guess when you live somewhere as utterly gorgeous as Positano it’s hard not to be inspired! Up until very recently my exposure to the Eau d’Italie line had been shamefully limited. Thankfully, when the brand was added to the Escentual line up I was able to try some of their offerings and I must say that I am positively hooked. All of the fragrances I have tried so far are most definitely worth a sniff but one in particular has me utterly smitten and that is the glorious ‘Au Lac’. Au Lac was created by perfumer Alberto Morillas (Thierry Mugler’s Cologne, Bvlgari Man and CK One) and is described by Eau d’Italie as being “a gorgeous Italian garden at the height of summer, the air filled with the scent of flowers and the fresh waters of the lake.” As you would expect from such a vivid description the fragrance is a delicate, aqueous floral evocative of sun-soaked Italian landscapes. The top notes are awash with shimmering orange and water lily. Fig leaves add a green, woody touch and in the first instance it all seems very reminiscent of that dew-soaked Italian garden that the description so clearly evokes. There’s also a nice touch of tartness to the fruit up top, adding a sweet hint of something sunny and juicy amongst the flowers. Eau Lac isn’t a fragrance that displays a huge amount of development, but as time progresses it becomes less watery & bright, instead moving to a base of green grass and soft, powdery woods that cling closely to the skin. Despite the fact that it is delicate, especially in its latter stages, Eau Lac has considerable lasting power and just a few sprays will be enough to ensure that you catch lovely wisps of floral goodness for most of the day. Unlike many white florals Eau Lac isn’t a sweeping and euphoric explosion of petals. It firmly places its strengths in an understated, almost watercolour-esque elegance that is incredibly peaceful and infinitely beautiful. All you need is one quick sniff and Eau Lac takes you to that garden on the lake, bathing under the warm glow of the Italian sun. 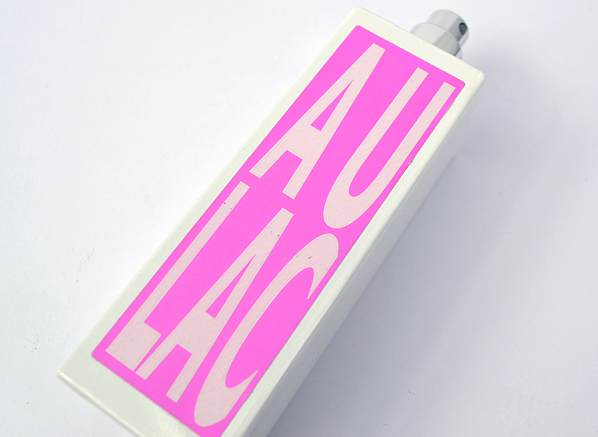 If you’re looking for something effortlessly pretty to take away with you to hotter climes this summer, or just something to take you away from the less-than-wonderful British weather then you should give Au Lac a try – after all, perfume is most definitely the best way to travel. 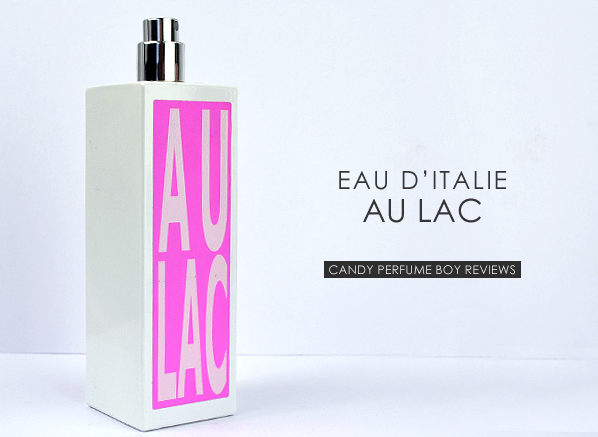 You can read more thoughts on Au Lac and others in the Eau d’Italie line in Emma’s review here. Super fast delivery, arrived next day! Great smelling cologne too. This entry was posted on Thursday, June 20th, 2013 at 10:49 am and is filed under Candy Perfume Boy, Fragrance, Guest bloggers. You can follow any responses to this entry through the RSS 2.0 feed. You can skip to the end and leave a response. Pinging is currently not allowed.